Syed Masoud Ali Naqvi is a senior accountant. 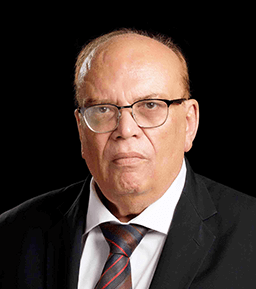 He has served as an Advisor to the Board of KPMG Taseer Hadi & Co. until 31 December 2017 and was a former Senior Partner of KPMG Taseer Hadi & Co., for 28 years. Mr. Naqvi is currently serving as a member of Tax Reforms Implementation Committee of FBR and the Academic Council of the Commecs Institute of Business & Emerging Sciences. Earlier, he has also served as the President of the Institute of Chartered Accountants of Pakistan (ICAP) for the years 1994-1996, and has been a member of its Council, Committee on Corporate Governance, and Sub-Committee for revision of Code of Corporate Governance 2002. He has also served on Pakistan Institute of Corporate Governance – Committee for revision of the Code of Corporate Governance in 2012 and has delivered several keynote addresses on the Code of Corporate Governance. For two consecutive terms from 2001-2003, Mr. Naqvi was the President of Management Association of Pakistan and has also served as the Chairman of the Tax Reforms Commission of Pakistan formed in September 2014. Moreover, he served as a Director on the Board of Karachi Stock Exchange for the year 1999-2000, President of the Pakistan American Cultural Centre (PACC) in 1996, President of the Rotary Club Karachi – Downtown from 1984-85 and District Secretary for Rotary District 327 (Pakistan) from 1986-87. He has also served on the Board of Governors of National Centre for Dispute Resolution. In honorary capacity, he also serves various NGOs and welfare organizations, community projects and trusts such as Baitul Sukoon and Talent Inducement & Placement Society. Mr. Naqvi is a Fellow of the Institute of Chartered Accountants of Pakistan.